Spa treatments-Exhausted by work, home, family and many other activities that make you not think for a moment about yourself? Take some time and go to a spa to relax, embellish and feel like new. We tell you what treatments may be of interest to you. It is a common massage but with a small plus: a lot of chocolate. 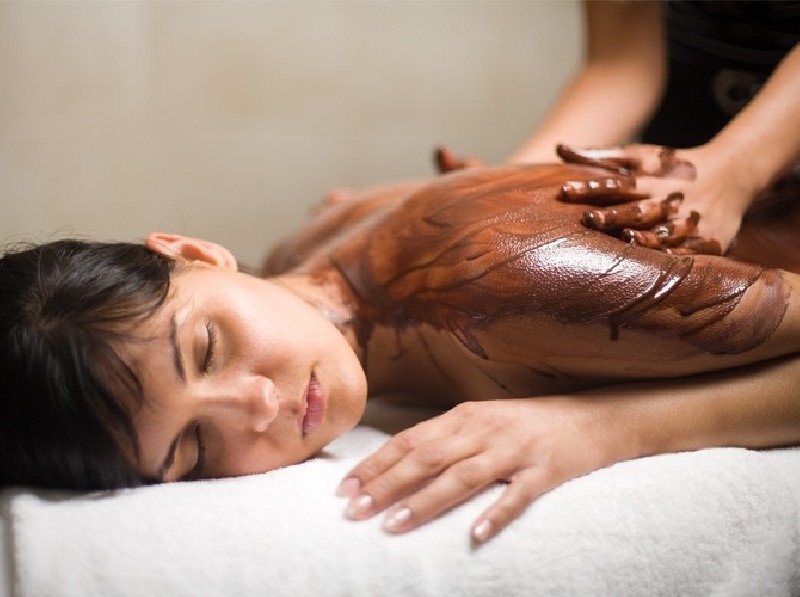 Throughout your skin they spread warm liquid chocolate and thanks to its moisturizing. And nourishing properties your skin can look like porcelain. In turn, it is also a draining and anti-cellulite treatment. It also delays the aging of the skin and acts as an antidepressant. And ant anxiety in the nervous system. It is inspired by oriental disciplines that focus on the seven chakras. Which are supposed to be strategic points of vital energy of the human body. In the massage hot river stones (50 °). And cold stones (8 °) are used. Which are placed in specific points such as shoulders, knees, feet, neck and nape. The treatment serves to relax and relieve pain, increasing blood flow. And cell metabolism by releasing histamine that acts on pain and inflammation. One of the ideal therapies for all those people who seek balance in their spirit. For those who do not know. This therapy focuses on the use of nine essential oils in their purest state that are inhaled to increase what some Indian tribes call the “s”: mental health, physical health. And emotional health, reaching restore the balance, influencing in a positive sense the organism. This is a treatment that uses different types of fermented and non-fermented grapes as a base. Which are mixed with wine and oils derived from this fruit. It is applied in the form of thermal baths, sweat wraps, massages, peels and exfoliations. It has therapeutic and aesthetic purposes, with this option you can achieve a beautiful and radiant skin. It is said that this technique is based on certain Chinese, Egyptian and Indian customs. The experts apply massages on the feet in order to eliminate some pain. Or symptom of disease in any part of the body. And even in the vital organs. The correct thing is to divide each area of ​​the feet and work in the areas connected by the nervous system to other points of the body. With this it is possible to alleviate discomforts, to calm the pain, besides eliminating toxins. Do you love water? Well imagine a massage inside a pool with water. This technique joins two words: Water (water) and Shiatsu (which is a Japanese technique that supports healing processes). How does it work? A masseuse works on every part of your body giving massages and physical therapy under water. This serves for relaxation and revitalization, undoing knots by tension. Relaxing muscles and stretching them with movements similar to a dance while the body floats. Most specialists use it to treat stress, chronic pain, arthritis, fibrillation, and sleep disorders. Believe it or not, even in the art of relaxation there is real luxury, for those who love gold there is a treatment that has the ability to tone. Strengthen and stimulate your body. In some spas the person is wrapped in a seaweed base, removed and given a relaxing shower. Afterwards, the skin is hydrated with a “gold” lotion by means of a 20-minute massage. This uses oxygen as a raw material. Which is found in a kind of box with compressed air that spreads in the environment. This helps to lower cholesterol, is a regulator of hormones, improves hearing and activates the immune system as well as regenerating tissues. Amazing, right? This technique is one of the most requested by women. Its use is therapeutic, as they help maintain balance. And harmony through the use of some essences that harmonize emotional and spiritual psychic states. Among the main oils used are: eucalyptus, lavender, lemon, tangerine, sage and rosemary. It is nothing new to use mud on your face and applying it to the rest of your body can help with problems of blood circulation. Fluid retention and the release of toxins. It also has benefits such as desinflamar, freshen, absorb, decongest, purify, antiseptic, healing and soothing. Clears acne and cellulite. The signs of aging and many other pathologies of the skin showing that the natural is the best that can be.